The Wind Scam in Germany, (and elsewhere), Keeps on Getting Worse…. The economics of Germany’s “Energiewende” are so bizarre, that you’d think it had been put together by the GDR’s ‘brains trust’, before the Berlin Wall took its tumble in 1989. Squandering €18 billion a year on power – which Germans have in abundance from meaningful sources – has them asking the fair and reasonable question: just how much power are they getting for the €billions that they’ve thrown – and continue to throw at wind and solar? But that’s merely to focus on the insane cost to German power consumers and taxpayers – and the meagre returns for their hundreds of €billions in subsidies – of what can only be described as an energy market fiasco. Unable to build any further transmission capacity of its own – principally because Germans are fed up with having their bucolic homeland turned into an industrial wasteland – not to mention the colossal and wholly unnecessary cost of building a duplicated network simply to take occasional bursts of wind power output – Germany is dumping power into its neighbours’ grids. The result is that their Czech, Polish, Dutch, Belgian and French neighbours’ grids are being swamped with excess power – whenever the wind picks up in Germany’s North – resulting in grid instability and blackouts. Germany has – from time to time – been a somewhat boisterous neighbour. 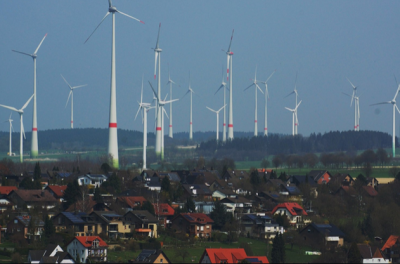 With Germany dumping excess wind power on an unscheduled basis – into grids which are simply not designed to take rapid increases in volume – neighbours are fuming again about German arrogance and the cost of accommodating it. Here’s a couple of takes on yet another aspect of Germany’s wind power disaster. German winds make Central Europe shiver: Junking nuclear power is creating problems for Germany’s neighbors. These separate moves come as Brussels pushes for integration of Europe’s energy markets. The struggle shows how the drive toward more renewables, combined with outdated infrastructure and inconsistent cooperation within the EU, is having unintended consequences. 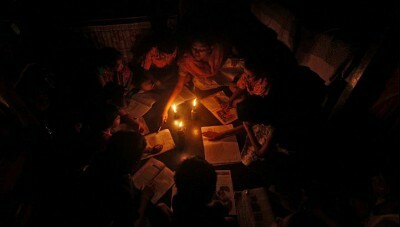 “In the past, with coal and nuclear power plants, the power system was extremely predictable. Now, with ever more renewable energy coming online, the system isn’t as predictable anymore, which can cause challenges also for the single market debate,” said Joanna Maćkowiak Pandera, a senior associate with German think tank Agora Energiewende. “We have been telling that to the Germans, ‘Increase your transmission system, or we will shut you off’,” an EU diplomat said at a briefing in Brussels recently. Power loop flows occur when a country’s power grid infrastructure isn’t sufficient to handle new production, so the electricity is automatically diverted through neighboring countries on its way to its destination in the producing country. “This also leads to congestion in neighboring systems,” said Georg Zachmann of the Brussels-based Bruegel think tank, adding that to deal with the situation countries can also reduce their own electricity exports to South Germany to make space for the German power. That, however, means that Germany’s energy transition is affecting the export potential of countries like the Czech Republic and France. Pressure is building on Germany to expand its north-south connection. But the idea has aroused local opposition in Bavaria, with residents unwilling to see their picturesque countryside spoiled by unsightly transmission towers. “If we want to have a growing share of renewables, we must build the grids,” Walter Boltz, vice chair of the regulators board of the EU’s Agency for the Cooperation of Energy Regulators (ACER), told POLITICO. The simplest solution, he said, would be for Germany to build up the necessary links. But that will take time. Alternatively, Germany could simply shut down wind power on highly productive days. But the country’s current policy stands in the way. “It’s an uncomfortable problem and has to do with Germany’s irrational priority dispatch policy under which you cannot shut down renewables,” Boltz said. Germany’s neighbors aren’t immune from criticism on the issue. Poland, for instance, could also consume the power it imports from Germany, something it resists to shield its own industry, Boltz said. Further, Poland’s grids needed expansion, he said. Germany, for its part, has stepped up cooperation with its neighbors to remedy the issue. In 2014, German transmission operators agreed with the Czechs to regulate cross-border power flows to protect the Czech grid from overloading and reduce the danger of blackouts. A similar agreement was struck between the Polish and German sides. On a political level in June, Germany signed a pact with 11 “electrical” neighbors, including France, Poland and the Czech Republic, to promote the integration of the respective power markets, counter overcapacity and let the market determine power prices. Still, Poland’s regulator last year sent a letter to the ACER, asking it to come forward with an opinion on the loop flows from Germany. The response is expected in September. The situation is delicate for the Czech Republic and Poland, which have long insisted that choosing whether power should be generated by solar, wind, coal, nuclear or other ways remains a national issue, not one for Brussels. So Germany is free to make decisions about how to generate electricity, in this case to shut down its nuclear plants. The Commission released an initial plan in mid-July about how to build a borderless power market that can deal with the rise in renewables. Draft legislation is expected in 2016. “We haven’t developed the grids,” the EU bloc’s energy chief Miguel Arias Cañete told POLITICO last month, adding that while there has been a lot of investment in renewables, grids aren’t up to standard. That’s also why Brussels is keen on increasing cross-border power interconnections. It’s making political and financial efforts to finally link up at least 10 percent of the EU’s installed electricity production capacity by 2020. But it’s a long slog to connect the bloc: EU countries had originally pledged that target in 2002. ← The Wind Scam Proves to be a Huge Waste of Money! The Great Cost of Wind Power — and this doesn’t even mention bats, bird, and bees!